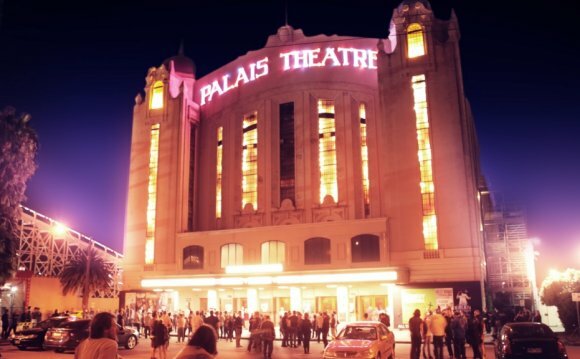 Today at the iconic Capitol Theatre, 13 of the nation’s sharpest school-aged comic acts went head to head in a battle for the most laughs at the Melbourne International Comedy Festival’s Class Clowns National Grand Final for their chance to be crowned the most hilarious teen act in the country. The winner for 2014 was Gregor Tarrant from Wodonga Middle Years’ in Victoria, who blew the judges away with physical, character style comedy and Jim Carrey-esque persona. Gregor walks away with the Class Clowns trophy, a novelty human-sized cheque for $1500 plus another $1000 workshop package for his school. Equal runner up was awarded to Mabita Makwaza from Sacred Heart College in South Australia, Jack Keenan from St Leonards College in Victoria and Grace Bruxner from Darwin High School in Northern Territory. Judges for the day included comedians Sara Pascoe, Dave Callan, Sammy J and Melbourne International Comedy Festival Director, Susan Provan. The excellent day of high calibre teenage comedy was drawn together by Ronny Chieng and Luke McGregor, plus a special performance from 2013 Barry Award nominees, Max & Ivan (UK) and 2013 RAW Comedy National Winner Demi Lardner whilst the judges made their gruelling decision. From the beginning of the year, across the country in 13 different locations, teens in years 9 – 12 or (14-18 years old) signed up to workshop five minutes of their own original gags with professional comedians such as Kate McLennan, Wizard Sandwiches, Danny McGinlay and Jennifer Wong offering tips and advice before the fresh faced funnies stepped on stage at their local heats, all in an effort to learn the comedy trade and try for the title of ‘Australia’s Funniest Teen’. After a series of heats, semi finals and state finals across the country, the cream of the comedy teenage comedy crop were flown (or driven) to Melbourne to compete in today’s National Grand Final. Now in its 19th year, Class Clowns is the flagship event of the Melbourne International Comedy Festival’s education program. Much more than just a comedy competition, this mentoring program develops the art of comedy from Darwin to Hobart, Perth to Newcastle, in 13 locations across Australia. Previous Class Clowns alumni include Tom Ballard, Josh Thomas and Danny McGinlay.